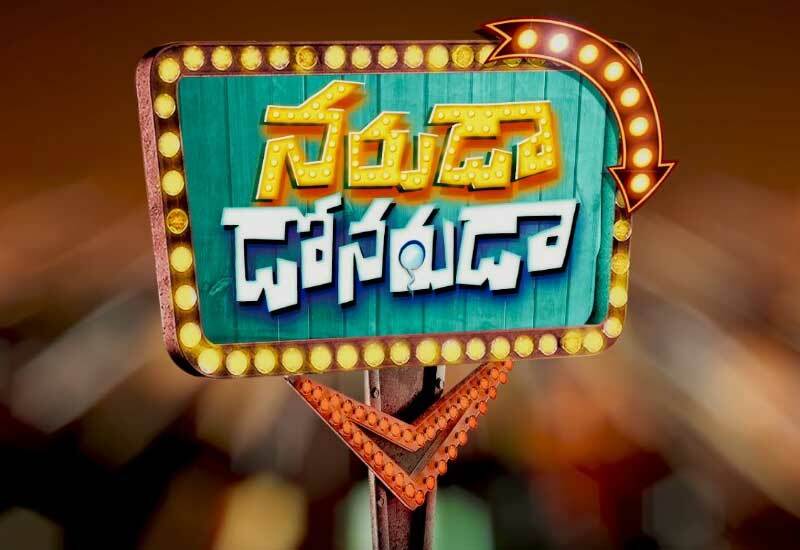 Naruda DONORuda Movie Review: The Comedy entertainment movie of this weekend is Naruda Donoruda. The Mallik Ram directed the Naruda Donoruda film and the lead actors of the film are Sumanth Kumar and Pallavi Subhash. The film story is the remake of the 2012 Bollywood movie Vicky Donor. In the Hindi version, Ayushman Khurrana and Yami Gautam are cast as the lead roles and the movie got massive response from the audience. So, the Telugu director decided to remake the film with the help of Sumanth Kumar and Pallavi Subhash. Both of them already had huge fan followers in the Telugu states. Read the Narudu Donorudu Movie Review, Rating, Story Plot, and Final verdicts. Naruda DONORuda Story Plot: The Doctor Aanjaneyulu (Tanikella Bharani) quite searching the sperm donor and he caught a potential guy named Vicky (Sumanth Kumar). Initially, he didn’t accept his job but, finally he made lots of money by doing sperm donate. And he fulfilled his dreams by his money. During this time, he meets his love (Pallavi Subhash) and the story moving towards their love and how they fall in love each other. Finally, how his lover accepted his profession and how he managing his daily life is the story. The female lead actress had massive fan followers through her television programs who become a famous by her character in the Chakravartin Ashoka Samrat. She also had huge fans in Maharastra because of his Marathi films. The male lead actor also had the rows of hit movies in Telugu such as Gowri, Godavari, and Satyam. His fans are waiting to watch the Naruda Donoruda film Today onwards. According to the Naruda Donoruda Review, the theaters are filling with the youngsters and quite a response are covered on all of the theater today. Sandeep Aatreya ‏@SandeepAatreya: #NagaChaitanya’s cameo in #NarudaDONORuda is just awesome . @iSumanth did a splendid job as Vicky aka Vikram. Liked few improvisations! Vamsi Shekar PRO ‏@vamsishekarPRO: #NarudaDONORuda premier show thumbsup response @iSumanth Tanikella steal show Dir Mallikram heart touching climax Hit Vithanam 100% Hit Rate. Sumanth Kumar, Pallavi Subhash, Tanikella Bharani, and Suman Shetty are the lead roles of this latest Telugu film, Naruda Donoruda. Most of the movie critics have given the rating individually for the category wise as direction, Acting performance, Editing, Story Plot, and Music scores. According to their rating, the Mallik Ram’s direction got 2.5 out of 5. The lead actor and supporting actors are also performed well; their acting is prized with the rating of 3 out of 5. The editor of the film has also placed on direction’s mark as 2.5 out of 5. The Hindi remake story plot is also the main reason for the movie rating, it is placed at the rating of 3 out of 5. The Music composer is the another hero of every film, he scored 2.5 out of 5 for this Naruda Donoruda film. The most awaited Tollywood film has been released today and the theater visitors are becoming high after the first show of the day. The film keeps the viewers’ eyes on screen utill the curtains fall. Sumanth Kumar, Pallavi Subhash and Tanikella Bharani are there in the maximum of the screen space with massive comedies.